home Uncategorized Could WRWA Actually be Linked to a Secret Underground Organization? 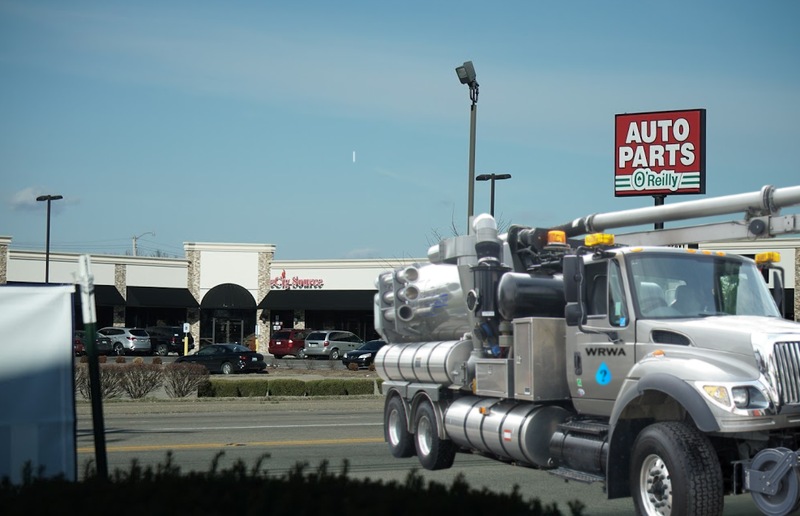 We’ve all seen those big wastewater trucks randomly blocking the road, but no one seems to know what they do. In fact, a deep search of the city budget reveals that there are not even any official records of the WRWA (Water’s Really Weird Agency). Owensboro resident Phoss Flagg believes he has uncovered the mystery behind this agency. His research led him to four youngsters named Sanzio, Bardi, Simoni, and Vinci who were attending one of those group painting classes where they were exposed to orange toxic paint. According to Flagg, the paint morphed the four into adolescent augmented karate tortoises and they were exiled to the sewers of Owensboro to prevent the story from getting out. Flagg says that their powers continued to grow and they developed cravings for pizza. With the city’s nightlife expanding so rapidly, officials determined their secret pizza deliveries would need to become more discreet. “That’s when they formed WRWA which allowed the delivery of pizza in broad daylight without any suspicion,” Flagg said. So the next time you see a WRWA truck, let us know if you spot any pizza boxes nearby.